As audiology professionals, we are often asked whether it is better to repair or replace a hearing device. The truth is, both hearing aid repair and purchasing new technology have their benefits and the correct answer is largely dependent on the patient. At San Diego Hearing Center, we take each individual’s needs into consideration when addressing their hearing health needs. In order to help you make an educated decision, we’ve included the case for both hearing aid maintenance and replacement. Your satisfication should be a major factor in your decision to service or replace your devices. Many individuals who choose to continuing using their current devices do so because they are accustomed to the sound experience those devices provide. Newer digital technologies may provide a completely different sound than what you are familiar with. Hearing aids ranging from five to seven years old are typically able to be serviced by your audiology professional should any problems occur. If you’re devices do not require frequent repair or maintenance, it may be more cost effective to stay with your current hearing aids. Your local audiologist may be able to perform your hearing aid repairs during a quick consultation. This is more time effective than sending your devices to manufacture for repairs and is easier than starting over with a new device. Hearing devices have changed significantly in the past several years, and you may find that newer technology could better integrate into your lifestyle. Features such as Bluetooth capability and improved environmental recognition make wearing a hearing device a more seamless experience. If your device is in need to constant repair or regularly requires new parts, it may actually be more economical to go with a new device. Many audiology professionals include follow-up appointments and repairs in the cost of a new device. You may also consider purchasing a new device if your lifestyle or health needs are different than when you got your last device. For example, the onset of tinnitus or arthritis might be better accommodated by a different style of hearing aid. Ultimately, the decision of changing or repairing your hearing devices is yours to make. We recommend discussing your options with a trusted audiologist. If you’re considering hearing aid repair, San Diego Hearing Center can help. 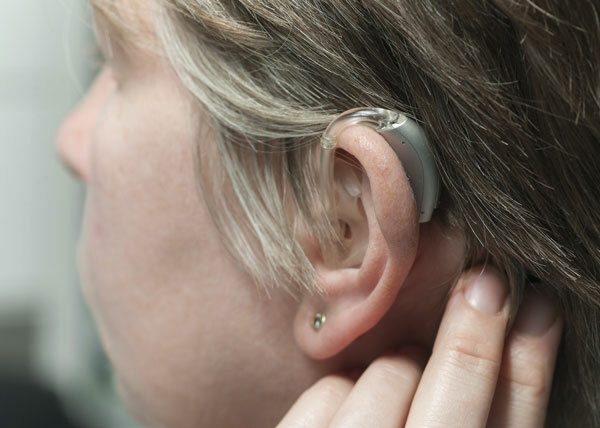 One of our hearing health experts can evaluate your current devices, provide a quote for repairs and allow you to try the latest options in hearing technology. To learn more, call our team at our Hillcrest office at (619) 298-8546 or in Clairemont at (858) 279-3277! ←What’s the Best Way to Treat Your Tinnitus? →Will Gene Therapy Help Cure Tinnitus?